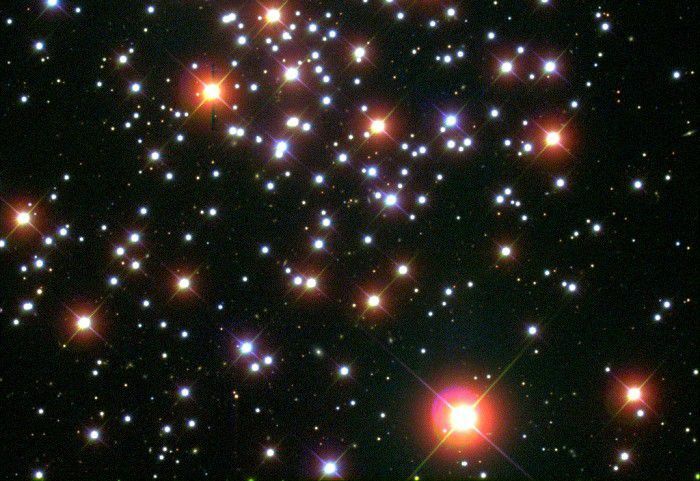 In the constellation of Cancer you can observe one of the oldest open clusters, Messier 67, which is over 3 billion years old, and was catalogued by Charles Messier in 1780. Normally, open cluster stars have long since dispersed. Only a few clusters have kept a certain amount of cohesion for such a long time. M67 is visible to the naked eye as a spot equivalent to the area of the full Moon. This cluster interests many astronomers because its age is close to that of the solar system and its stars have a chemical composition identical to that of the Sun. It is therefore an ideal field of investigation for studying the evolution of stars of the solar type.